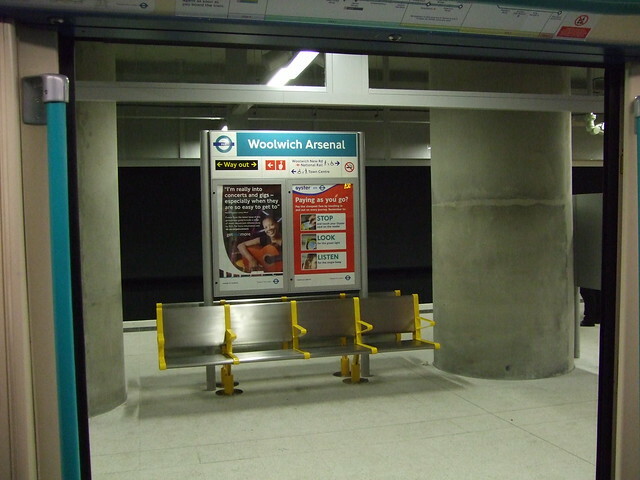 A date’s finally been set for the long-awaited boost in the Docklands Light Railway service from Woolwich Arsenal – with the opening of the network’s new branch to Stratford International now due on 24 February. London City Airport chief executive Richard Gooding let slip the date in an interview with the Travelmole website. The move should see the already-packed two-year-old service from Woolwich Arsenal to Bank joined by trains to Canning Town, Star Lane, West Ham, Abbey Road, Stratford High Street, Stratford and Stratford International, using the old North London Line route. This won’t mean more direct trains to the City, but it’ll mean more opportunities to change to Jubilee Line, Central Line and mainline trains to central London and beyond, as well as the high-speed services to Kent from Stratford International and other rail routes to Essex and Hertfordshire.